My world hasn’t been the same since. I keep buying avocados. And what happens when you’ve gone a little overboard and accidentally amassed an undisclosed amount of avocados? 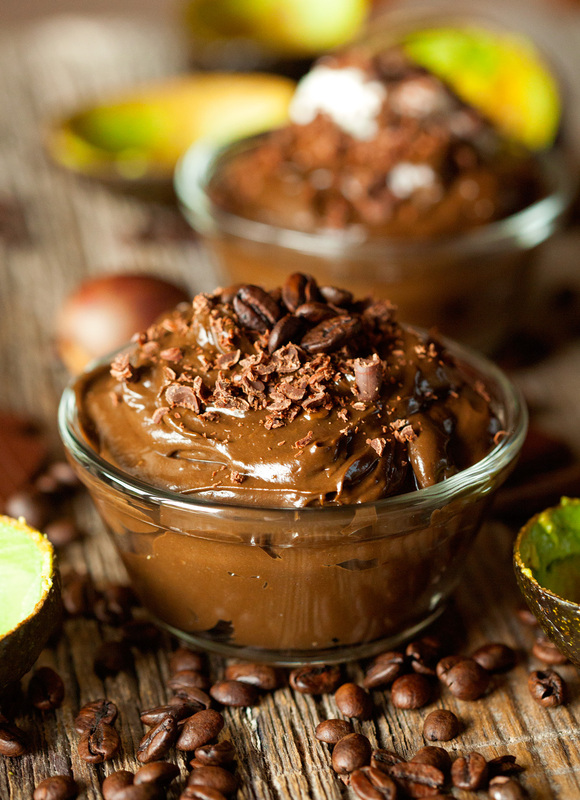 You make Dark Chocolate Mocha Avocado Mousse, of course! This mousse couldn’t have not come at a better time actually. I’ve been working hard on getting on a regular schedule with my workouts and being more diligent when it comes to running. 3 weeks in and things are looking good. I am running my first ever race this weekend. A 5K seemed like a good way to get my feet wet. So excited! 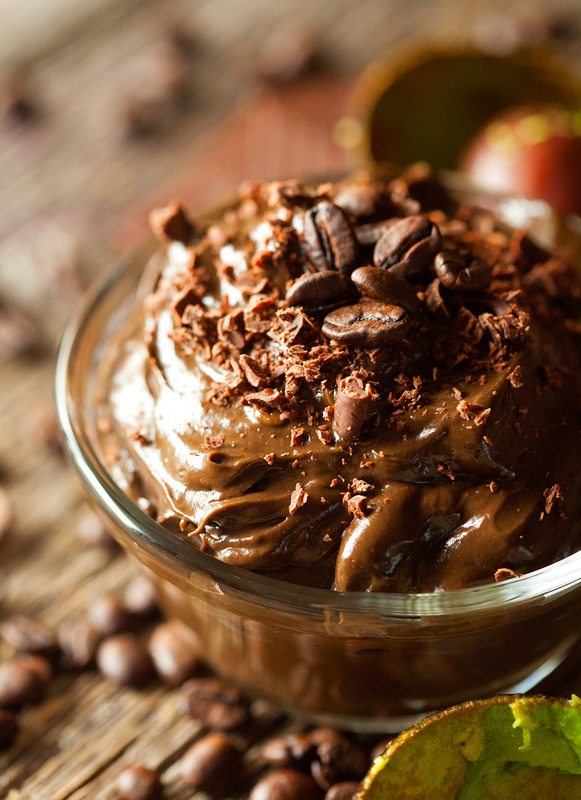 And this mousse has been the healthy yet satisfying treat I’ve been looking for, especially when I’m craving chocolate – which happens a lot. The recipe yields quite a few servings, but you could totally cut it in half. I just happen to be one of those people that despises to clean her food processor. Totally worth it for this mousse though and totally easy. You pretty much throw all your ingredients into the food processor, pulse it a few times, and are left with the most amazing dessert. And yes, it does taste like avocado. Not overwhelmingly so, but you know it’s there. It’s subtle, perfect and most importantly delicious. Plus there is chocolate and coffee. 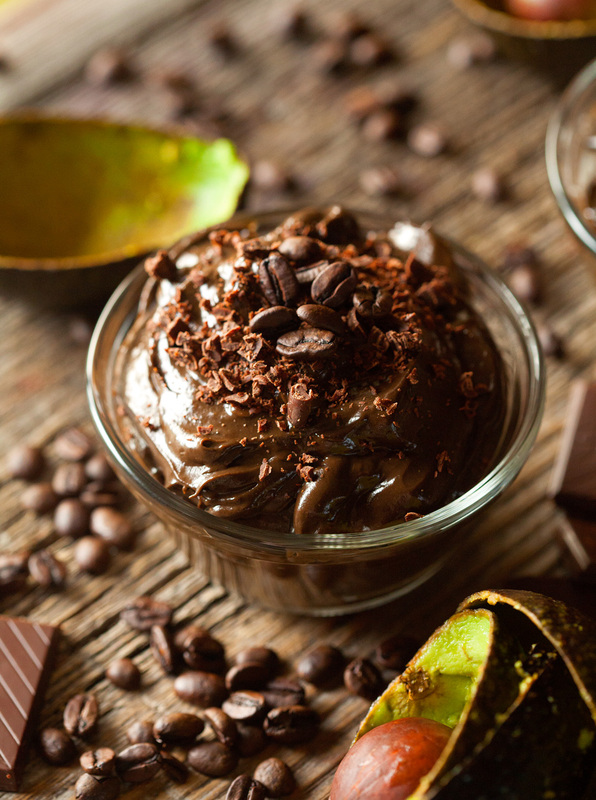 So yeah, if you’re an avocado-chocolate-coffee lover, you will go ga ga over this mousse. Just giving you a fair warning ;). So here’s the recipe for ya. Hope you have an amazingly delectable weekend ahead! This Avocado Mousse is a cinch to prepare. Loaded with coffee and chocolate - a true crowd pleaser! 1. In a microwave-safe bowl, melt the dark chocolate and set aside to cool slightly. 2. Meanwhile, place your avocados in the food processor and blend until creamy. Add all of the remaining ingredients, including the melted chocolate and blend until everything is thoroughly creamed together, about 2 minutes. Taste and adjust according to taste. The dark chocolate is pretty dominant in this mousse, so you might want to add more honey or sweetener of your choice. 3. Spoon mixture into small serving bowls and place in the fridge for 1 hour. Serve with whipped cream, if desired and enjoy! 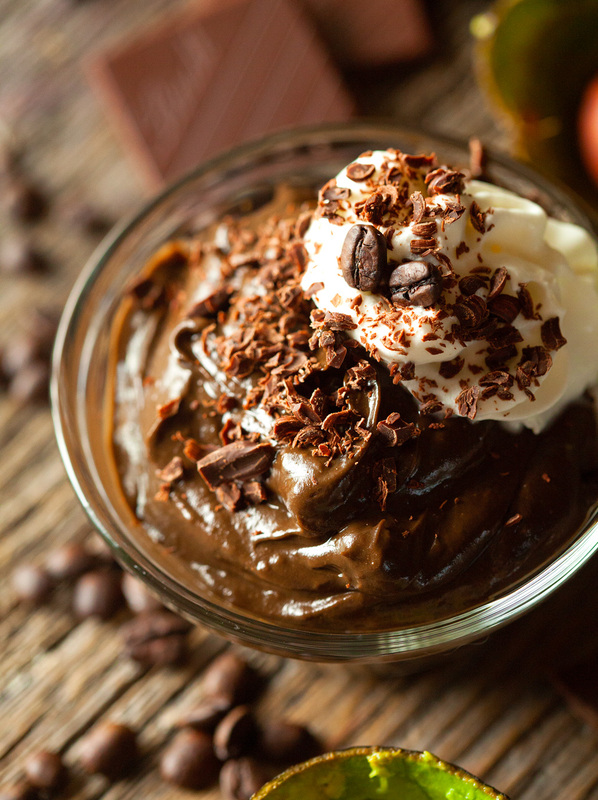 Mousse can be made ahead of time and stored for 24 hours. One of my very first blog posts 5+ years ago was this! Raw, vegan (so no honey) but same stuff. I use agave, avo, cocoa powder and that’s about it! Yours looks awesome – pinned! I love it, Averie! It’s a recipe that has stood the test of time :). Thank you so much!! I’m glad you discovered avocados, Kathi! Aren’t they amazing? 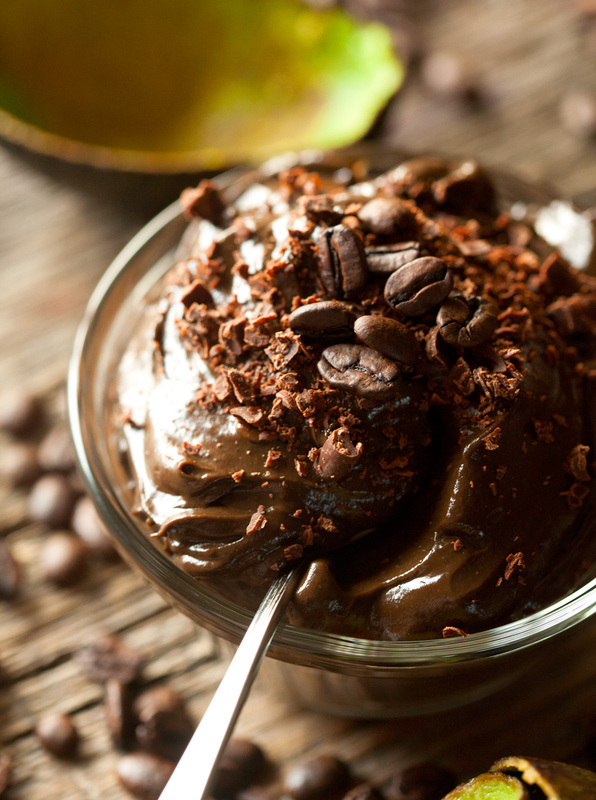 And I am in awe of this chocolate mousse…sounds delicious and love that it’s healthier! I’m an avocado fan, so definitely trying this out. Pinned! They totally are! Hope you love it as much as I do. Thank you!! But I seriously can’t believe you had never had avocados! If you knew how many avocados I ate, you would probably faint. I put them on everything. Sometimes I even eat them plain with a little salt and lime juice. They are just the best. You have to start making up for lost time and start devouring avocados ASAP! This avocado mousse sounds delicious! I love avocados in desserts, makes them so moist and creamy. No avocados?! Don’t worry it took me awhile to get on the avocado train, too! 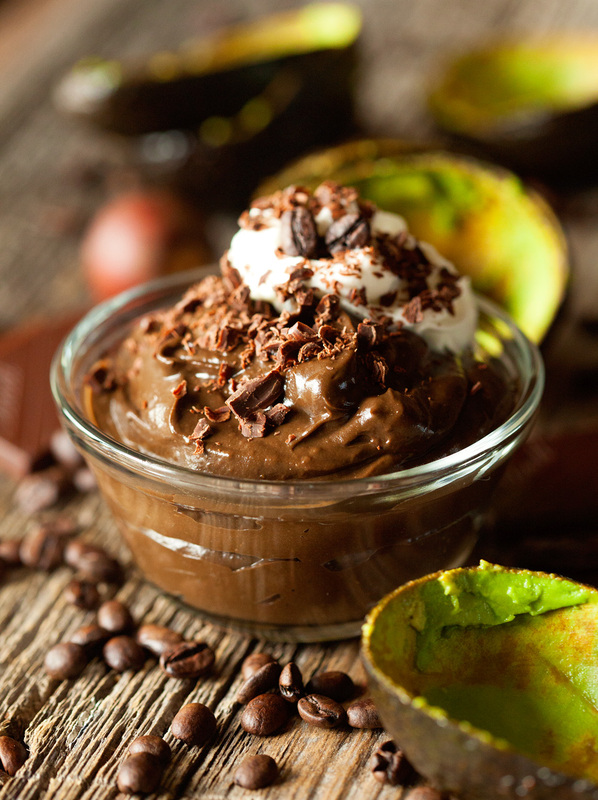 This mousse looks wonderful, I’ll bet the texture with the avocados is pure heaven! Kathi I have been sooo hesitant to do the chocolate avocado thing – can you really not taste them? This looks AMAZE but I’m still on the fence with the avo-choc thing…. should I go for it?! This looks delicious! Thank you for saying it taste like avocado. I see so many recipes and no one ever says that. They just say how creamy it is. When I was younger you couldn’t get me to touch an avocado with a ten foot pole. Now, I am crazy for them 😀 Good luck on your 5K! Love this recipe it sounds so delicious and looks perfect! Pinning this one. Can’t wait to try it! Sounds good and I want to try this but I’m wondering what percentage dark chocolate do you use and is the cocoa powder unsweetened or sweetened? I used 70% and the cocoa powder is unsweetened. I updated the recipe. Thank you for asking! SO delicious! 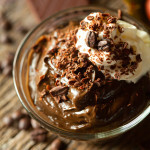 I make chocolate avocado pudding here, but this looks a lot more decadent! Yum! Yay for avocados! I love them, but haven’t ventured into using them into sweets yet. Your mousse looks fantastic! Good luck on the 5K this weekend. You’ll be great! This mousse is insanely amazing! This looks incredible. End of. Kathi! I’m soooooooo glad avocados have found their way into your heart (and tummy!). I made a chocolate avocado pudding once, and it was good. I can only imagine how delicious your mousse is! Good for you for signing up for a race. Can’t wait to read how the 5k went! Do you think these could be frozen into popsicle form?! I like that idea. And yes, I think that could be done. Let me know how it works if you try it! original thoughts on this subјect matter. Seｒiousⅼy..